Makeup is Delicious!! 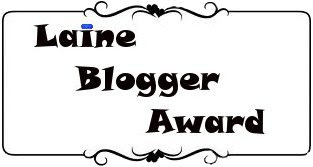 : Laine Blogger Award!! What an honour :) Thank you so much Candace ( http://keepcalmandpolishon.blogspot.com/ ) for the award!! 1) Link back to the person who gave it to you. 2) Blog about your award. 3) Give this award to 5 bloggers & let them know you gave it to them.